It’s strange to think that it has all come to an end, but in a great way, it doesn’t feel as though I’m leaving behind the adventure that was 6 weeks in Europe. Instead I take home with me a new language, knowledge of what it is really like to live and breathe the Italian culture, particularly that of the South which is rich in passion and emotion! I’m also bringing home with me some great new friendships having met Italians, English, Swedes, Dutch, French, puerto rican, American, Spanish, Scottish, Kiwi and Finnish people throughout my travels. In addition to the few extra kg’s, I bring home knowledge of cooking in the South of Italy, a cuisine quite different to any other region … Much higher in calories too but hence delicious! 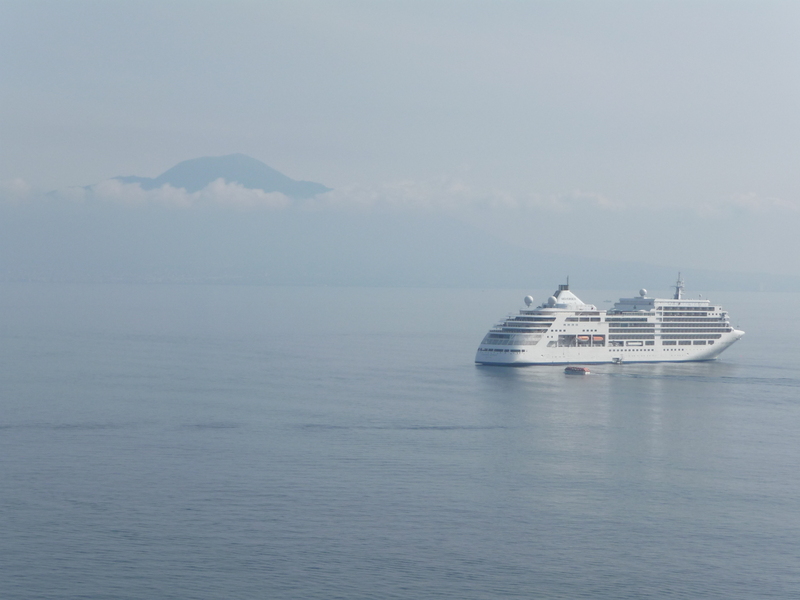 Thank you for following me and meeting me at airports, historical sites, beach clubs, volcanos and sailing regattas. Thanks also for putting up with the poor spelling and grammar, and grainy photos at times, as I hastily tried to punch out a quick update. I’ve loved receiving your comments and emails of encouragement, love and well wishes. It has constantly reminded me of the beautiful network of family and friends I am coming home to, which makes leaving Europe (particularly in the summer!) that much easier. I wrote a post a few weeks in to my trip about the importance of family and friends and the emphasis Italians place on it. As well as a new language, which has opened my eyes to the real Italian culture, the importance of family and friends, love, support and loyalty is the other important thing I will bring home with me. So, time to get packing. Meet me at Sydney airport at 5.10 am Saturday morning if you like… Yeah right! Realistically I look forward to speaking to you and seeing you all very soon. 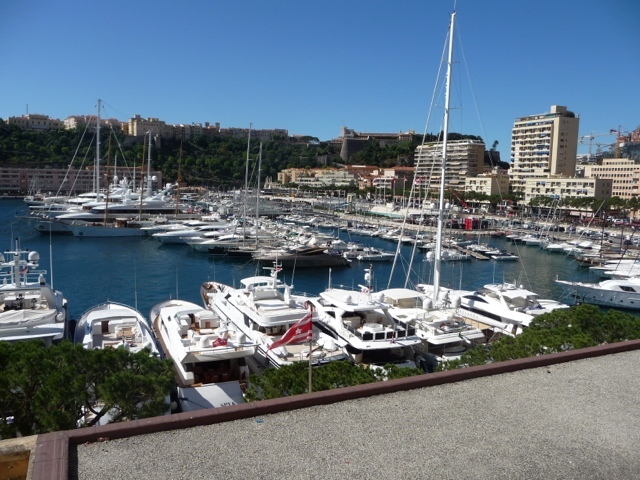 A very quick post before I race out the door and get my helicopter (not kidding… Yez has arranged for me to leave Monaco the way I arrived.., in style!) to Nice airport before flying to Rome for the night and leaving for Sydney the next day. 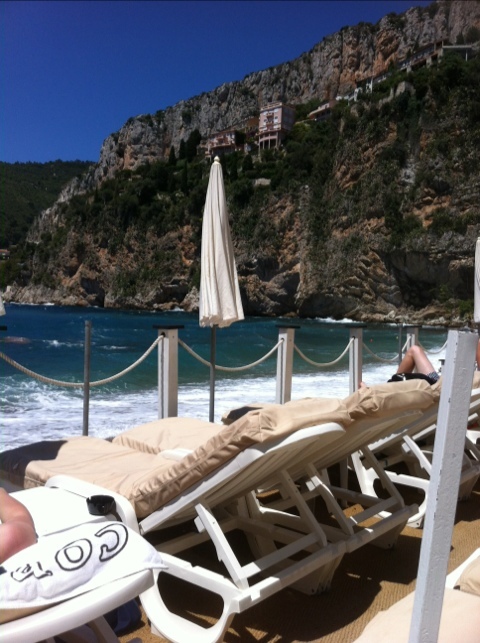 My time in Monaco followed Porto Cervo and was nothing short of fabulous… Living life like a princess! 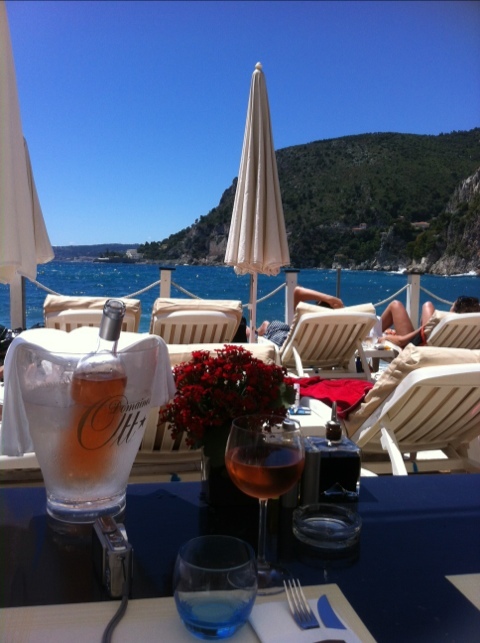 Yesterday we spent the day at Plage Mala sipping Rose and running in and out of the water from our sun beds at La Reserve. Following Mala we headed down to Monaco port for a few drinks with friends then up to the roof terrace at Miramar overlooking the yachts for dinner with a group of us. Post dinner we hit Budha Bar up near the Casino for cigars, red wine and people watching! Needless to say I’m feeling a but sketchy today and think I need to get away from my dear friend Yez before my health deteriorates any further! But seriously, it’s been a phenomenal way to end my European adventure. I’m very spoilt. Better run. 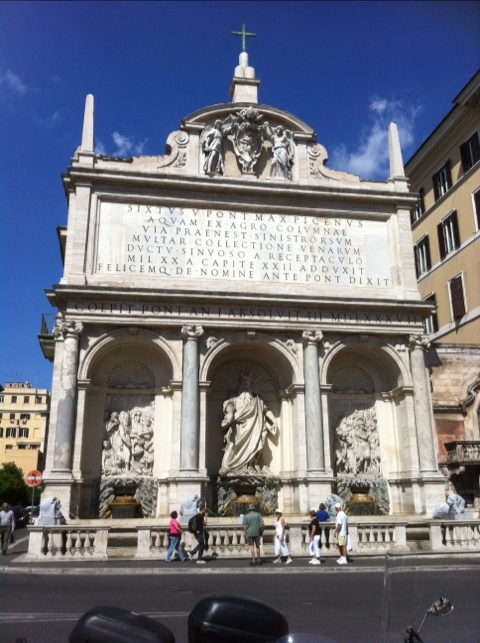 Hopefully I will get one more post in before I fly out of Rome in 24 hours time. Meet me at the airport in Rome! 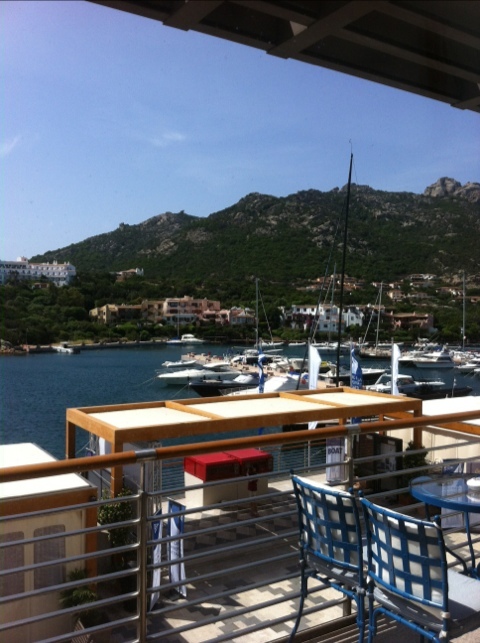 Arrivederci Porto Cervo… Bonjour Monaco! Talk about a terrific past few days! From the time I arrived in Porto Cervo I was treated like a princess – attending all the parties each night … at the Yacht Club one night, the next at Phi Beach, Baia Sardinia, (where the other photos were taken… Including the one of Yezzy and I) and finally the owners dinner for race crew at Clipper Restaurant where we ate like kings sitting up to a 5 course feast! 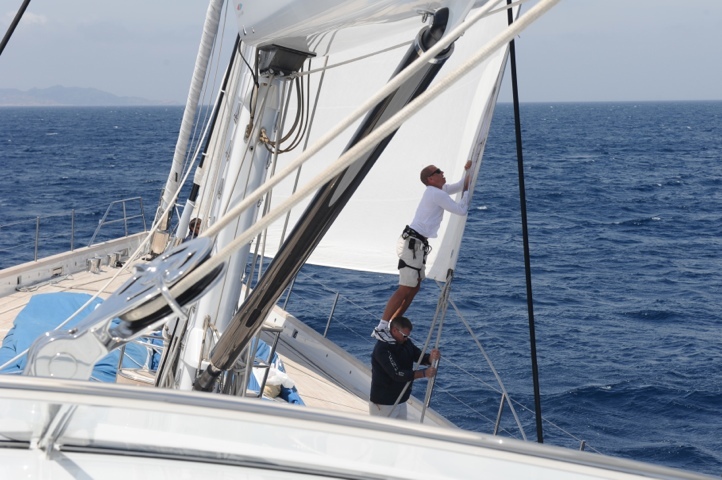 My days were spent either windsurfing, lazing at the beach with a group of friends while eating the local dish Spaghetti Buttarga, or wandering around Porto Cervo waiting for the guys to finish their day of racing on Twizzle before joining them for post race drinks in the piazza. After a huge final night, a bunch of us jumped on the ferry the next day and did the overnight trip from Olbia to Genoa, then arrived at my mate’s apartment in Monaco this morning, overlooking the port and ocean (see the photo). Tonight we have a few friends coming for dinner so after lunch and a wander we’ll make a trip to Carrefour and shop for my Tarte de Citron and whatever Yez is going to cook for the main. Tomorrow we’ ll do it tough again and head to Plage Mala, an old favourite beach club where we used to spend any spare moment we could while working on the boats all those years ago. Not much happens there except for some people watching (frequented by the rich and famous! ), many bottles of rose and some French pizza while lazing on luxurious sun lounges and running in and out of the crystal clear mediterranean sea. 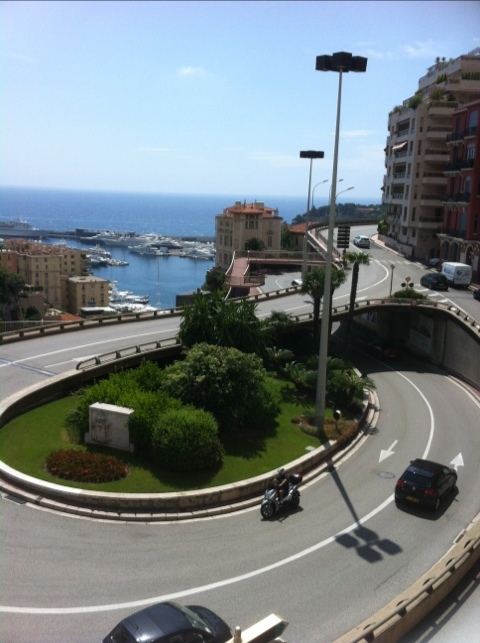 It’s certainly nice to return to my European home… The fairyland that is Monaco. A little update from my iPad while sitting in the yacht club in Porto Cervo marina. 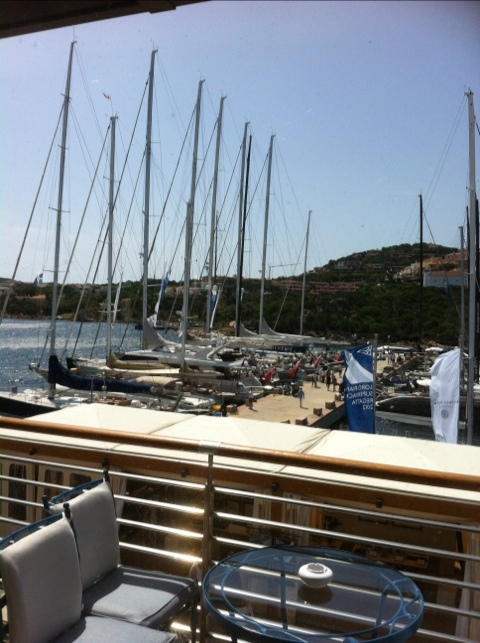 The photos are taken from my luxurious lounge chair upstairs at the club, overlooking all the sailing yachts which are here for the Loro Piano regatta. 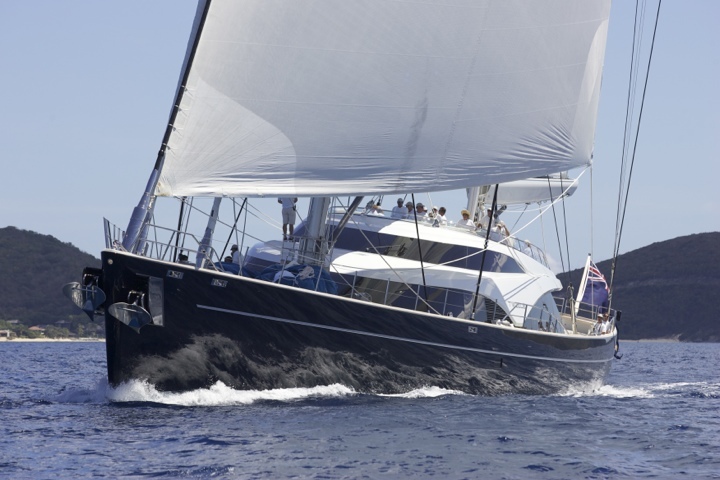 My mate Yerin whom I’m staying with is heading up the race team on Twizzle, a 60m yacht, the largest in the regatta. 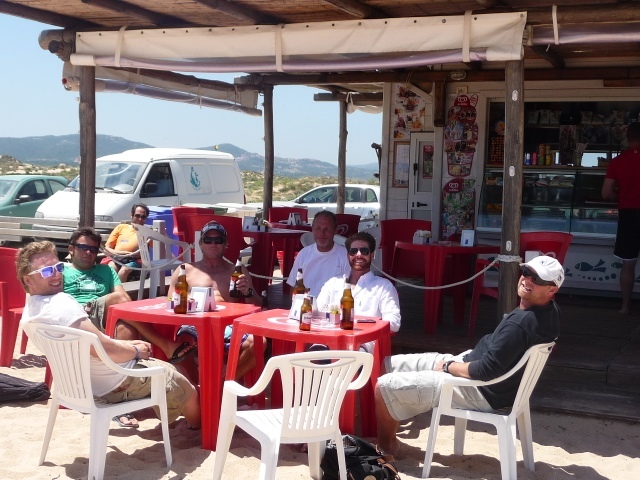 Yesterday was a lay day for the race crew so yez picked me up from the airport in Olbia then after a quick change into my togs, me and 6 guys from the crew piled into yez’s car and headed to the beach for an afternoon of windsurfing (could be my new fave sport!) and wine! At around 6ish we came back to the apartment, did another quick outfit change then cruised down to the marina for the regatta PizzaParty at the yacht club which was attended by all crew and owners of the yachts in the regatta. And just when I thought I had had my last Naples pizza a week ago, they had flown in the pizza makers from Naples for the party! Of course. Today racing is currently cancelled as its howling outside and actually too windy for racing a 60m. So we are sipping cappuccinos in the yacht club instead, and waiting for updates on conditions. 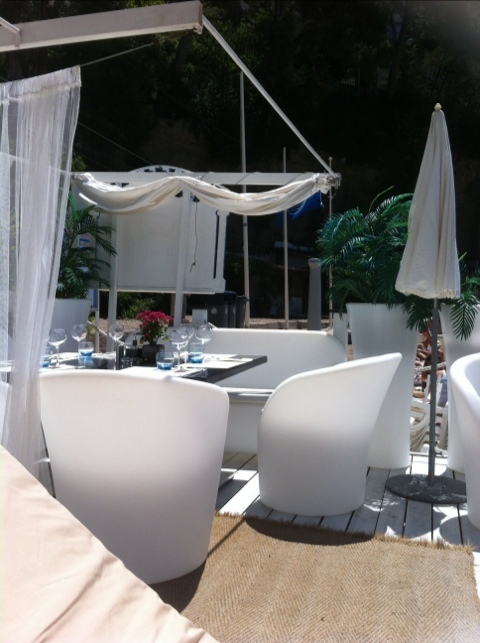 Tonight there is a beach party at Baia Sardinia so a little siesta and laze by the pool will be necessary this arvo to prepare. 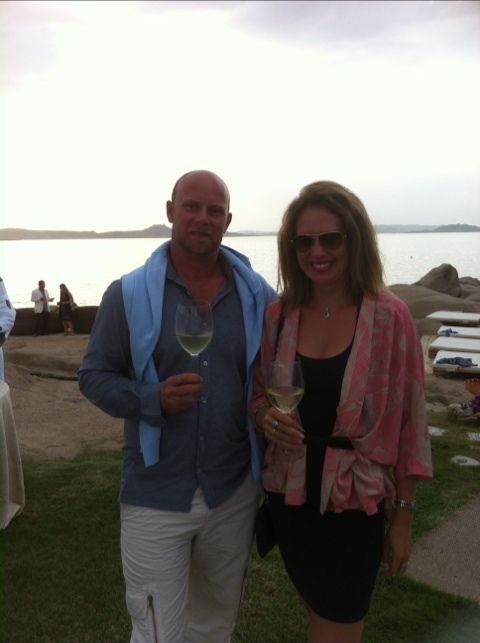 I’ll take some better photos and post soon as these ones don’t do Porto Cervo justice! It is truly stunning here and pretty nice to be on land enjoying it (all possible because of the generosity of Yezzy!) rather than on board cleaning cabins and hoping to escape for a quick dinner as was the case the last time I was here 7-8 years ago! For my last day in Rome, I thought I would do something food related. Ok, so I do that everyday! 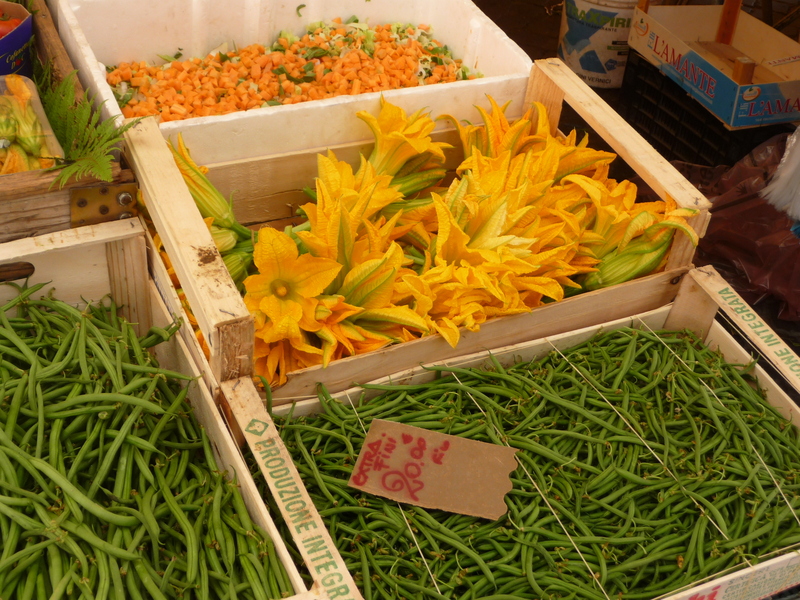 After breakfast and a Gino coffee, I took off to Campo di Fiori to see the market. 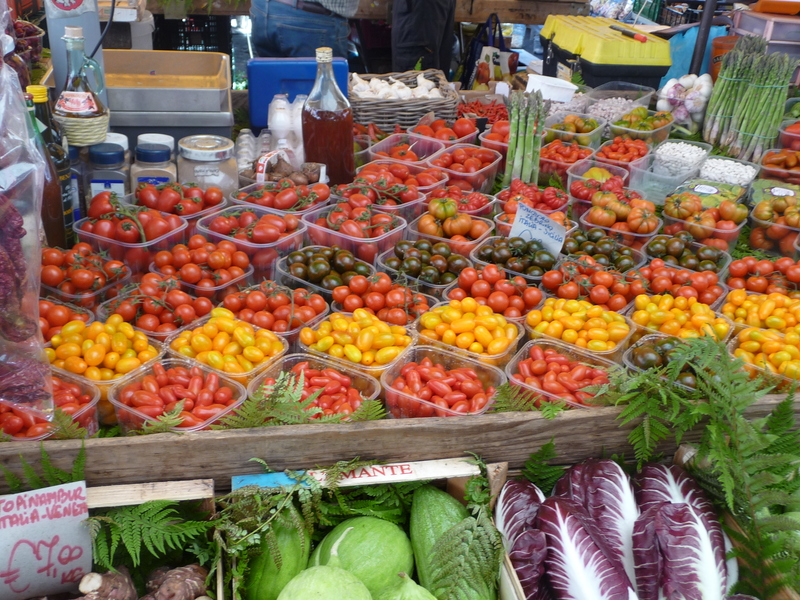 The colours are what is so striking about these markets. Tomatoes come in every colour – some even a little purple/blue, zucchini flowers are bunched into bright yellow posies smiling at you ready to be bought and stuffed with 4 types of cheeses, some fish and ricotta, or simply deep fried in a light batter (although my suspicions are correct, the deep frying of everything is really just characteristic of the south (of Italy). As you wander around the Campo and surrounding streets, the air is thick with the sweet smell of marmilata croissants and donuts, and in every bar you will find a line up of Romans downing their caffe espresso and enhaling a pastry. 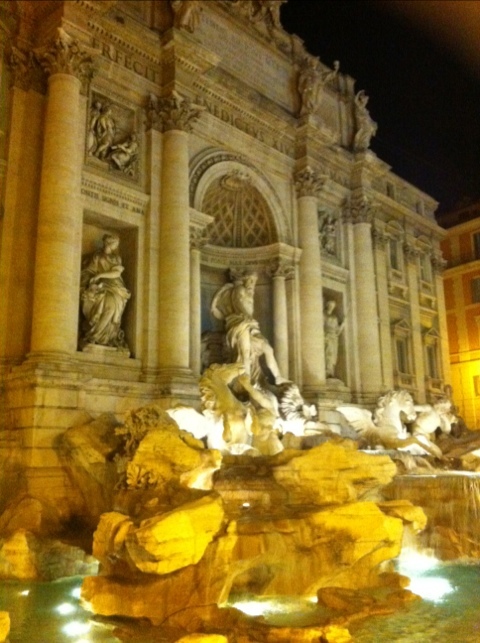 And so, as I pack my overflowing suitcase once again I am content with my 4 days spent in Rome. Like any big city, there are plenty of tourist traps, but when you discover a locals’ haven or manage to find a friendly face to have a chat with your whole day can turn around in a matter of moments. 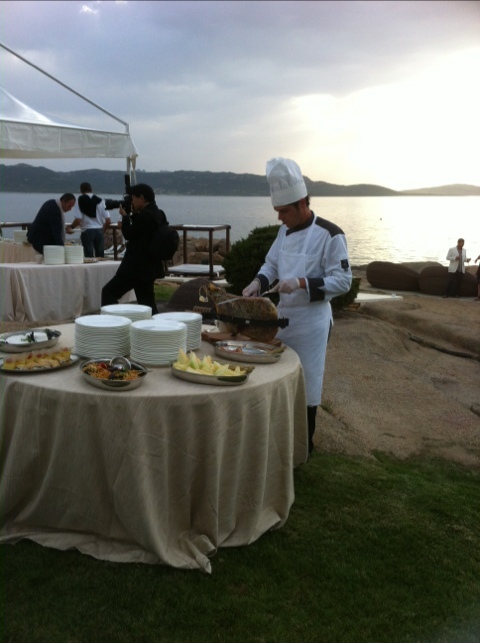 A domani… where you can meet me in Sardinia. If you know me well, you probably knew it was inevitable at some point… ‘it’ being a little bit of homesickness! And so after a few (only a few!) tears over Skype to mama this morning, I dried my eyes and set out to tackle Day 3 of Roma. It was another hot day, the sun was shining, and I have only 1 week left in Europe so needed to get a grip! I started out at Gino’s Bar next door for a stand up coffee with the locals. Gino’s Bar is super modern and is just that, a bar made of glass below which lies an array of paninis, ribbon sandwiches and various bakery items in both large and mini size. Yesterday I had failed to notice the two crystal bowls of whipped cream sitting on the bar piled up high with a spoon standing in each for you to help yourself and add to your coffee or dolce! Tourists don’t seem to visit this bar because most wouldn’t understand the concept of a coffee with no-where to sit and drink it! After paying one euro for my cappuccino, ‘Gino’ gave me a wink and wished me a buona giornata and off I went. Next stop was the Opera Theatre to see if I could get a ticket to the final night of Atila, tonight. I could hear the conversation in English in front of me and alas only tickets starting at 200euro. However, after a quick chat in Italian once it was my turn at the box office I understood that there was a restricted view seat left for 17euro. So I took it. The lady in the ticket booth then informed me that she would upgrade my seat anyway for no extra. Winner! Feeling a bit better about life, I decided to push my luck and attempt to firstly find a post office in order to post some loot home which I’ve accumulated and which no longer fits in my suitcase (you would think this would be easy but asolutamente no in Italia! As luck would have it, I took a wrong turn on the way back to my hotel and discovered one (without signage of course), 20m from my hotel. Inside I took a number and waited to be served. In Italy, many many people still appear to pay their bills at the post office, so you always wait in a queue. When my number was called, I was greeted by a lady who at first seemed a little aloof so I apologized for my Italian and the conversation for the next 20mins was simply fantastic… Not only did I understand her, she was so impressed with my Italian, saying it was so perfect and she was particularly impressed hearing that I had studied in sorrento because, as she explained, and as I know, the dialect ‘down there’ is very very different and difficult to understand. Explains why I couldn’t understand a word in Naples, where it is at its thickest! By lunch time I was quite peckish and found a street near the post office where the Roman men were young and dressed perfectly as though out of a Ferragamo ad, and the food was fresh, modern and delicious (like my fellow patrons!). Following lunch and a gelato near the Spanish Steps, I got the metro to Termini to try out just how realistic it is that I get the metro then train to the airport at 5.30am on Thursday to fly to Sardinia, then returned to the hotel. And now I must sign off, and go and pretty myself up for the Opera tonight. 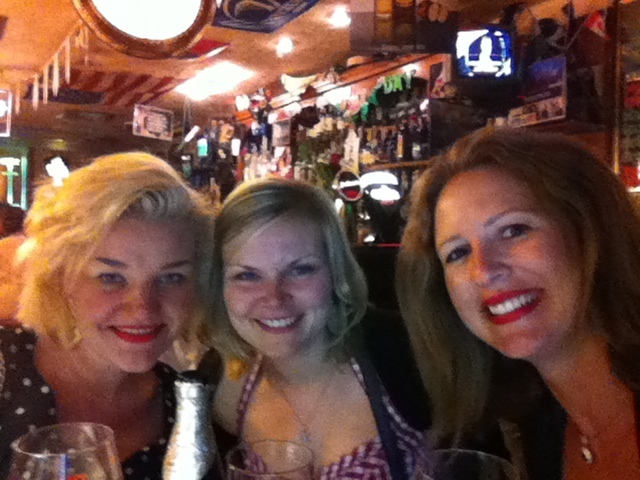 Meet me in Trastevere, where the menus aren’t translated – finally! 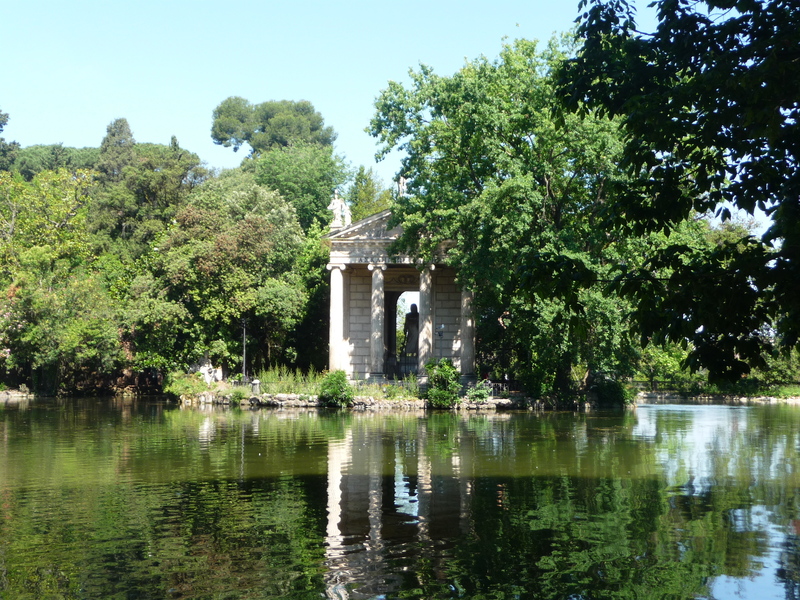 I had grand plans to tackle the Catacombs today, but post my run around Villa Borghese this morning, I decided I would keep in local and save the out of town trip for a day when I had more energy. Turns out site seeing is hard work! Ok i’m kidding … I can hear you all laughing from here. Instead I walked for about 5 hours! Following breakfast on the roof terrace of my hotel at Piazza Barberini, I headed down Via Tritone, past the Spanish Steps (popped in to a few shops in the hope of finding a 30th birthday party outfit but let’s just say this body is not is tip top condition for clothes shopping! ), continued across the Tiber towards the Vatican, saw the crowd spilling down the steps and into the square and decided to save my visit for another day (and probably another trip), and wandered along the river until I made it to Trastevere, a cool and predominantly locals only area of Rome where the restaurants are filled with Romans, the streets are narrow, and the menus aren’t translated into English, German and French. Finally. And I wasn’t disappointed in the quality either. The typical buffet style lunch of 8 euros for a plate was delicious. The highlight being the eggplant and cod bake which sounds horrendous but was the best things i’ve tasted in Rome (ok, besides San Crispino gelato). 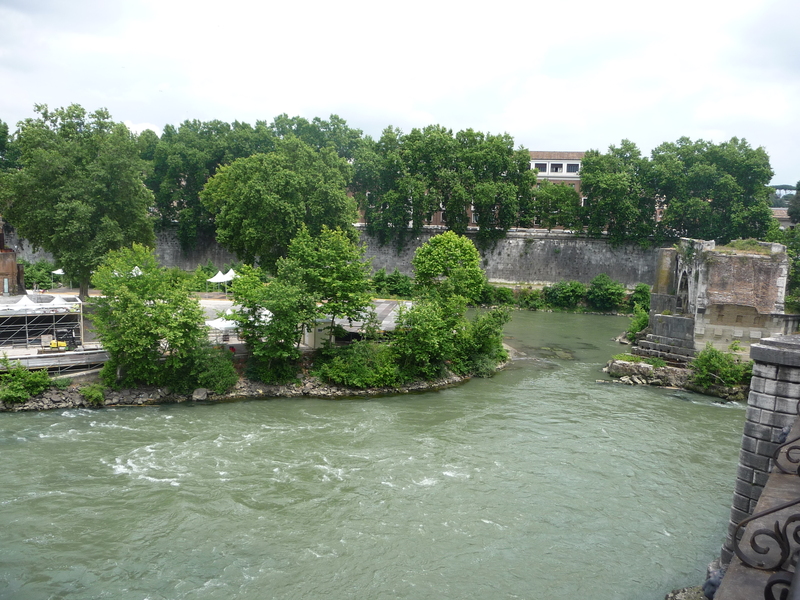 Post lunch, I wandered back across the Tiber viaIsola Tibernia,through the Jewish Ghetto where the trattorias were packed and Romans spilled out of the pasticcerias. Tonight I’m heading to a very cool locals joint near Ponte Cavour/Spanish Steps for an appertivo and possibly dinner. It’s still hot here, but today a little overcast so fingers crossed the sun comes out for the rest of this week as I take of for Sardinia on Thursday morning and am very excited to see a familiar face of a great friend.